London: Penguin Books, 1948. Thirty printed pages of text (plus one unpaginated). Contents: 'Abolition and Proscription of the Highland Dress'.... 'Repeal of the Act Prescribing the Wearing of Highland Dress'.... 'Highland Dress'(with illustrations).... 'A List of Books( with chapter heading illustration).... 'R.R. McIan' (short history).... 'Notes on the Plates'.... 'List of Plates'. Twenty-four full-page colour plates taken from "The Clans of the Scottish Highlands' by James Logan, with original sketches by R.R. McIan. Tartan paper-covered hardbboard binding. Paper title lable to spine. Paper bubbling to fep. The exquisite colour plates promises to be appreciated.. First Edition Thus. Hard Cover. Near Fine. New York: Charles Scribner's Sons / Deneau Publishers & Company Ltd, 1982. Revised and Updated Edition. Oversized card cover format. This complete and eminently useful handbook combines information on the newest wood-burning technology with lore acquired from a lifetime of heating with wood. Bibliography and index provided. Excellent illustrations by Ian Grainge accompany text. An extremely bright, glossy book.. Soft Cover. Near Fine. New York: St. Martin's Press, 1998. 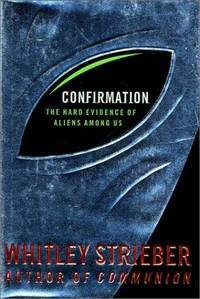 This book is at once a journey of scientific discovery and the story of the personal struggle Strieber has fought since he had an apparent close encounter in 1985 which he recounted in "Communion: A True Story". Labeled insane, a liar and a cult leader Strieber proceeds to correct the record. He provides physical proof and this book is the story of how he got it and what it is. An immaculate book in its bright, price-intact dust jacket.. First Edition. Hard Cover. Fine/Near Fine. Pleasantville, NY/ Montreal: The Reader's Digest Association, Inc., 1990. (c. 1990) First Edition Volume 7. Contents include: What I Saw at the Revolution. A Political Life in the Reagan Era by Peggy Noonan.... The Fall of Pam Am 103. Inside the Lockerbie Investigation by Steven Emerson and Brian Duffy.... Father, Son & Co. My Life at IBM and Beyond by Thomas J. Watson,Jr., and Peter Petre.... A Death in White Bear Lake by Barry Siegel. 573 0pp. Illustrated with b/w photos. Blue cloth boards with silver print to spine. No signs of previous ownership. A square, bright clean copy.. First Edition. Hard Cover. Near Fine. New York: Ballantine Books, 1984. 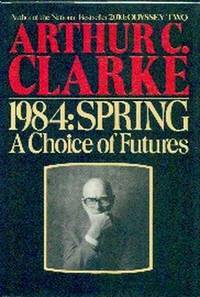 In this extraordinary collection of his articles, essays and speeches, Arthur C. Clarke, citizen of the world, expounds on some of the world's enormously serious problems: war and peace, the frontiers of space, the need for global communications, etc. In the more personal pieces Clarke, citizen of Sri Lanka, takes on subjects near and dear to him in a series of revealing and delightful essays. "Life in Sri Lanka....Then and Now," etc. A stimulating and informative look at today's world and the promise of tomorrow through the eyes of one of the world's most original thinkers. Red boards, black cloth spine. No ownership markings. Wonderfully clean, bright book in a bright price-intact photo dust jacket. A very nice copy!. First Edition. Half-Leather. Near Fine/Near Fine. New York: G.P. Putnam's Sons (1969) Book Club Edition. By the author of "The Man in the Grey Flannel Suit." Sloan Wilson's first book of non-fiction. In it he tells what happened to him when he decided to abandon the comforts his career as a successful novelist had brought him in order to pursue a lifelong dream. On one level the book is a rollicking account of how he, together with his young and attractive second wife and their two-year old daughter, moved aboard a boat on which they intended to live while cruising to the Bahamas. But on a deeper and more meaningful level it is the story of a man approaching middle age who admits that he is bored with his way of life and has the courage to do something about it.....Blue boards, bookplate to fep...name to ffep. A clean bright copy.. Hard Cover. Near Fine/Very Good. New York: Doubleday & Company Inc. 1974 (1974) Later Printing. In this extraordinary book, a man with a wide knowledge of the unexplained mysteries of our world demonstrates again that the universe is not only stranger than we imagine, but stranger than we can imagine. Charles Berlitz reviews many of the bizarre ( and continuing) disappearances of ships and planes connected with the "Bermuda Triangle" and proposes intriguing theories of the strange forces that may be at work there. Included too are interviews with people who have made harrowing escapes from the Bermuda Triangle...including a man who has twice experienced its cataclysmic forces and lived to tell about it. B/w photographs present. Blue cloth boards with beige spine...title lettering on spine is a bright blue. No ownership markings.. Hard Cover. Very Good/Very Good. New York: Harper & Brothers Publishers (c. 1951) BOMC Edition. A simple, scientifically accurate treatment of space travel and man's place in the universe. This book has been written by Arthur C. Clarke (scientist, F.R.A.S and Chairman of the British Interplanetary, Society) to answer all the questions which the intelligent layman asks about the new science of "astronautics". The many remarkable plates....four in full color....give a vivid impression in which space travel may be achieved. Preface by the author. Eighteen very interesting chapters are offered. List of plates provided....b/w drawings by R.A. Smith. The full-color plates are from paintings by Leslie Carr based on the drawings of R.A. Smith. Eighteen figures are also present. Blue boards with dark blue spine. Name to ffep. Boards show light age discoloration to extremities. A sound,serviceable copy.. Hard Cover. Very Good/Good. New York: Gramercy Publishing Company, 1965. First Gramercy Edition. 122pp. This is an ancient theme but one which has many modern and day-to-day applications. Mr. 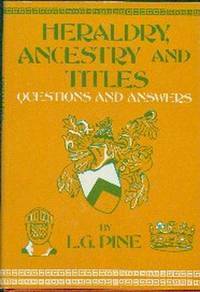 L.G.Pine., a world authority, sets out the answers to the host of questions which he has been asked during the many years he has lectured on this subject. A list of illustrations provided ( ten figures....from "helms" , through to "Armorial Coat". An index also provided. Red boards. No ownership markings. Illustrated dust jacket. A clean, bright copy.. First Edition. Hard Cover. Very Good/Very Good. Toronto: Doubleday, 1987. Introduction by Alvin E. Poussaint M.D. Age is no laughing matter, but "Time Flies" will change all that. Bill Cosby, America's best-loved media personality, brings his unique warmth, wisdom and wit to a subject that seems to be on everyone's mind these days. Here are the trials and tribulations of mid-life: the aches and pains, the battle of the burgeoning bulges, the loss of memory, failing eyesight, and slowing reflexes, and here Bill Cosby delivers his hilariously accurate observations. Book has no ownership markings. A clean copy in a near fine photo dust jacket.. First Edition. Hard Cover. Near Fine/Near Fine. Fitzhenry & Whiteside The man who invented the Quiz program - and starred on thousands of them across Canada and in Britain - lifts the curtain of an extraordinarily eventful life. His story is not only a fascinating inside look at the world of radio and tv, but a slice of nostalgia, as Roy Ward Dickson's unique career winds its unlikely way from a Rotterdam attic bedroom, to a Vancouver breadline, to television stardom. Red boards with gilt title print to spine. Photo illustrated dust jacket with original price intact. Photo of author on back panel of dust jacket as well. Immaculate copy !. First Canadian Edition. Hard Cover. Fine/Near Fine. New York: Random House, 1987. . "Castaway" was the extraordinary best seller about Lucy Irvine's year on a desert island, "Runaway" is the equally remarkable story of her life before Castaway. It is the adventure of a young woman who dreamed and lived far outside the usual limits; - a story of rebellion and survival.. First Edition. Hard Cover. Very Good/Very Good. 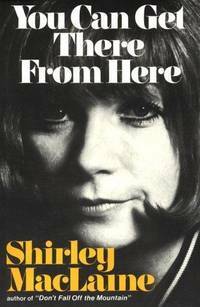 London: Hodder & Stoughton, Heinemann, 1968. This book explains and wickedly illustrates modern English attitudes toward their rulers, their class structure, themselves and their European neighbours - to everything, indeed, that makes an Englishman a mad dog. Wine cloth boards with gilt print to spine. Price-clipped illustrated jacket design by Graham Bishop.. Second Impression. Hard Cover. Near Fine/Very Good. New York: Walker and Company, 1977. 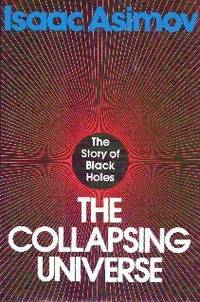 Isaac Asimov explores the implications of black holes. As questions are probed, he takes the reader on an engaging tour from the atom's innermost core to the outermost reaches of the universe introducing remarkable phenomena from photons, etc, etc. to wormholes and white holes. This is the most important book on astronomy by this author since "The Universe". A bright sound book in an illustrated dust jacket. Dust jacket inside flap shows deep crease. A sound most serviceable copy.. First Edition. Hard Cover. Very Good/Very Good. London: Frederick Muller Ltd., 1956. Can anyone really understand the Scots? If anyone can, it is Mr. McLaren who is very much of a European as well as Scot. His roots are in his native land where he lives, but he has travelled much. In this book he discourses affectionally, yet humorously, on his compatriots, their admirable qualities and their absurdities, as well as some of their more irritating failings. He opens his book with the profound remark, " The first thing to understand about the Scots is that they are not English." Then adds, " The second thing to understand is that they are not British." Red boards with gilt title print to spine. Endpapers have no ownership markings. A clean copy in an illustrated dust jacket.. First Edition. Hard Cover. Very Good/Fair. New York: Doubleday & Company Inc., 1965. (1965) Actual experiences of people in emergency situations prove you can't rely on miracles but reveal what you can do. A dramatic, illustrated narrative of the ingenious and often hair-raising devices of survival - in the desert, after plane crashes, at sea, and even along our "safe" highways. Blue-green cloth boards with green spine. Blue title block to spine- gilt lettering. No ownership markings. Front board barely "started", still very good - a tight, clean copy.. Hard Cover. Very Good/Very Good. New York: Walker and Company Inc., 1975. Black cloth boards - orange-red endpapers. Bookplate to fep, name to title page. A square, clean copy in a very good, bright, photo dust jacket.. First Edition, Second Impression. Hard Cover. Near Fine/Very Good. Gerrards Cross, Buckinghamshire: Colin Smythe Ltd., 1973. . 66 pp.. Introduction by the author. A handbook intended mainly for professional translators. "The original glossary on which this handbook is based included entries in French, Spanish, Portuguese. German, Swedish and Russian; but since French is by far the most important language from which English-speaking translators have to work in the international organizations, and since the principals discussed under the more general headings apply to translation from any language, the entries relating to the other languages have been omitted from the present edition." Since the bulk of the material collected deals with the problems of immediate concern to the growing army of international conference translators rather than to the translator of technical treatises or of fiction or biography or poetry, it occured to the author that it might be useful to publish it with the conference translator particularly in mind. Red Boards with blue title print to front board and spine. No ownership markings. A clean, sound book.. First Edition. Hard Cover. Very Good. New York: Atheneum 1985 (c.1979, 1983) Glossy illustrated heavy card covers. 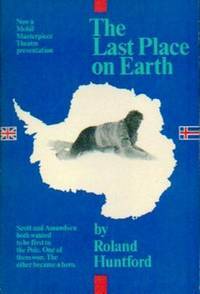 'Scott and Amundsen both wanted to be first to the Pole. One of them won. The other became a hero.' The contents open with acknowledgements, author's note, list of illustrations and list of maps. The book presents itself in two parts (part one covers 17 chapters.....part two...from chapter 18 through to 35.) 'Note on Diet', bibliography and index provided. There are thirteen maps....two of them being two-page spreads. Part one and two provide a generous section of photographs. This book's primary aim is to re-examine every detail of the great race for the South Pole between British and Norwegian teams that took place in 1911-1912.... A sound, tight and bright copy. No ownership markings.. Soft Cover. Near Fine. New York: Simon and Schuster, 1987. . Here is the first definitive account of the Walker Spy Family - the fascinating tale of John Walker, Navy Communications expert, who recruited his son, his brother, and his best friend into what has been called "the most damaging spy ring in American history...." Grey boards, blue cloth spine with silver title print. Matching grey endpapers. Name to ffep. Remainder mark to bottom edge. Price-clipped dust jacket design by Lawrence Ratzkin.. First Edition. Hard Cover. Near Fine/Near Fine.